e has famously compared himself to the legendary rapper. 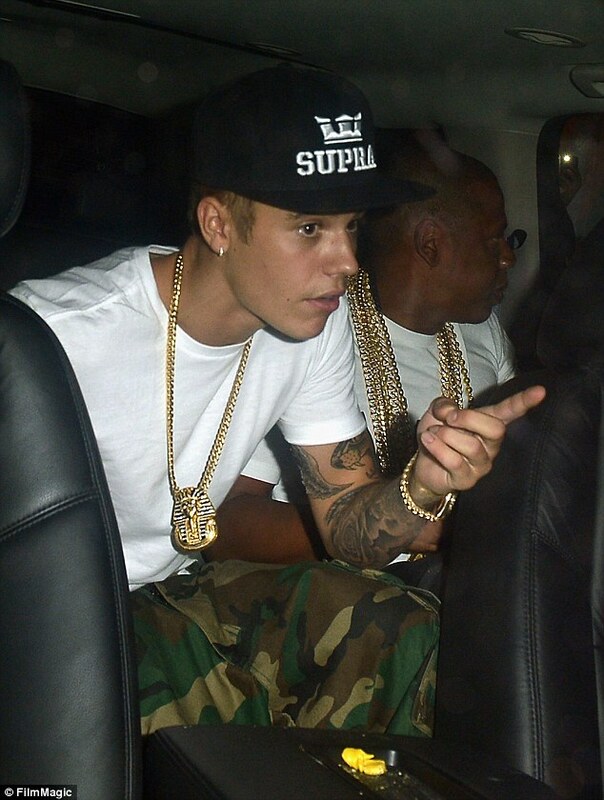 And now teen idol Justin Bieber got the chance to rub shoulders as just one of the 'fellas' with signifying hip hop artist Jay Z at a nightclub in Miami, Florida. The 19-year-old immortalised the moment with an Instagram snap as he smilingly flashed gang signs next to the ever sober-looking media mogul, on Friday night. 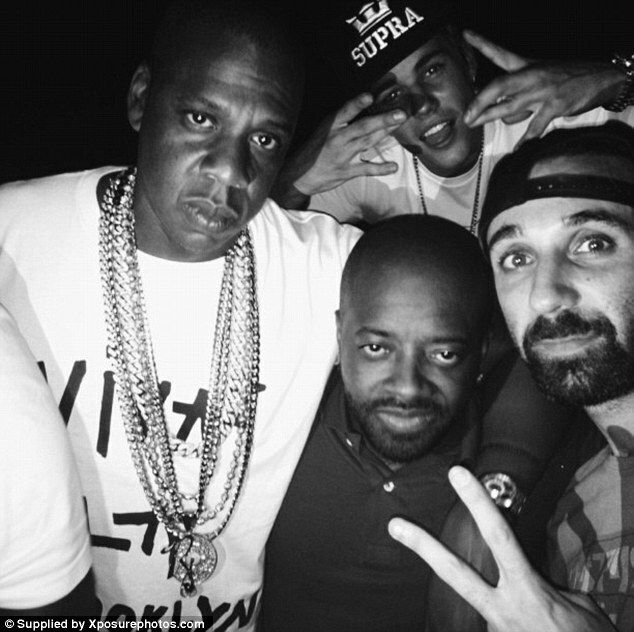 In one of the pictures from the night of partying, the Baby singer flashes an ear-to-ear grin as he pops his head into the frame of a photo of Jay Z posing with rapper Jermaine Dupre. 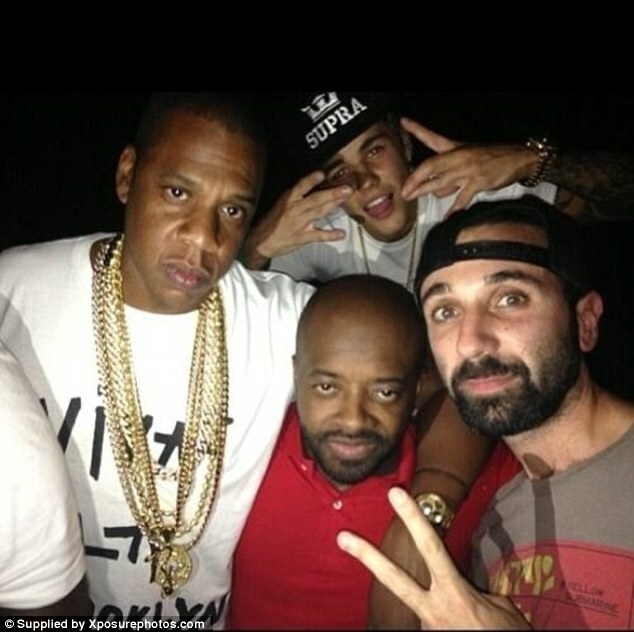 Looking incredibly pleased with the situation, Bieber contorted his fingers into a Westside gang symbol while the 43-year-old husband to Beyonce gave the camera a stone-cold stare. Surely thrilled with his night of revelry with some of hip hop's most iconic rappers, the tattooed Boyfriend singer tweeted the snap the following morning with the caption: 'Last night with the fellas'. In another social media picture, Bieber cozies up to the Magna Carta Holy Grail recording artist while seated on a bench. 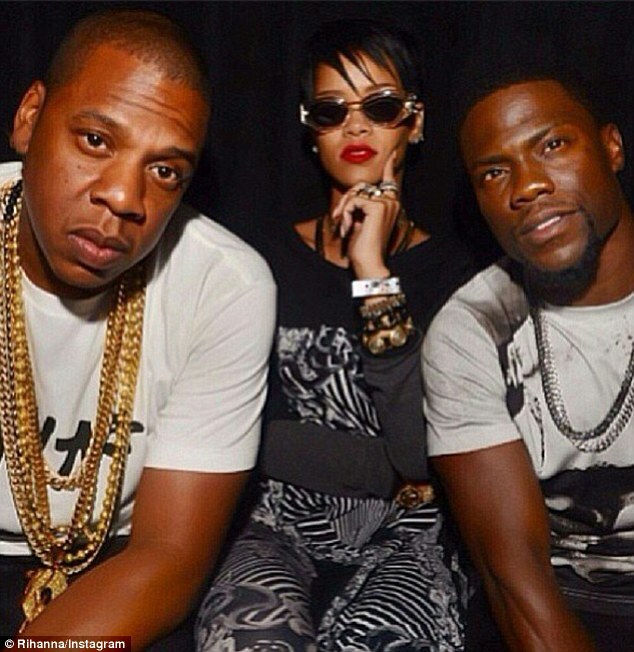 As the Canadian pop singer snuggled in, Jay Z wrapped his arm affectionately around comedian Kevin Hart. 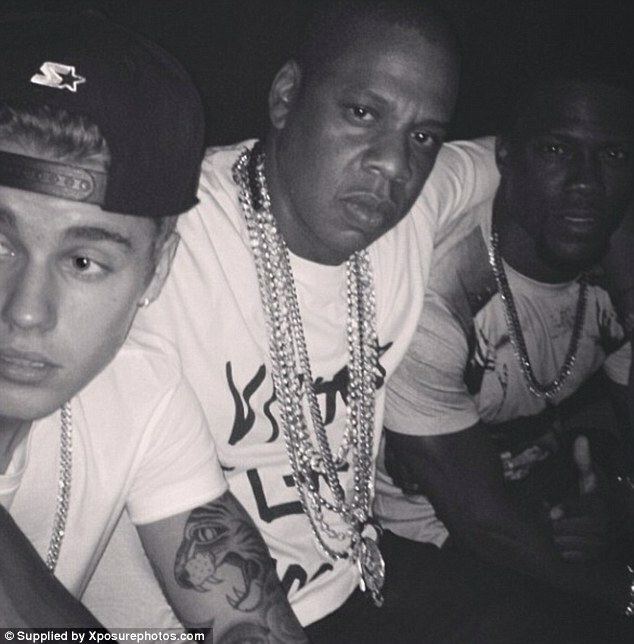 Bieber captioned the memento: 'Chilling with the boys @kevinhart4real and J'. Later the group were joined by pop star Rihanna, who also posted her own picture of the night out. Meanwhile, Bieber told Teen Vogue in April he is modelling his career after Jay Z. The teenager explained, regarding his method of dealing with the press: 'I don’t need to address every speculation. But the young man's behaviour is a far cry from the rapper's high reputation. Bieber has racked up a string of incidents this year where he engaged in over-the-top 'pop brat' antics. A small sampling of his bad boy behaviour includes, allegedly spitting on a neighbour and urinating in a janitor's mop bucket in the kitchen of a New York night club.